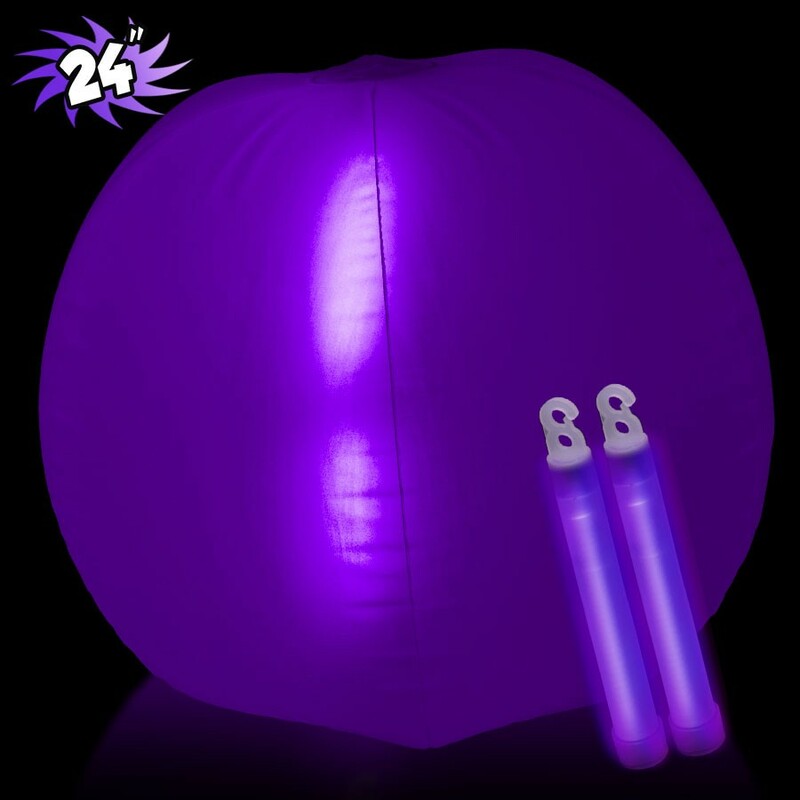 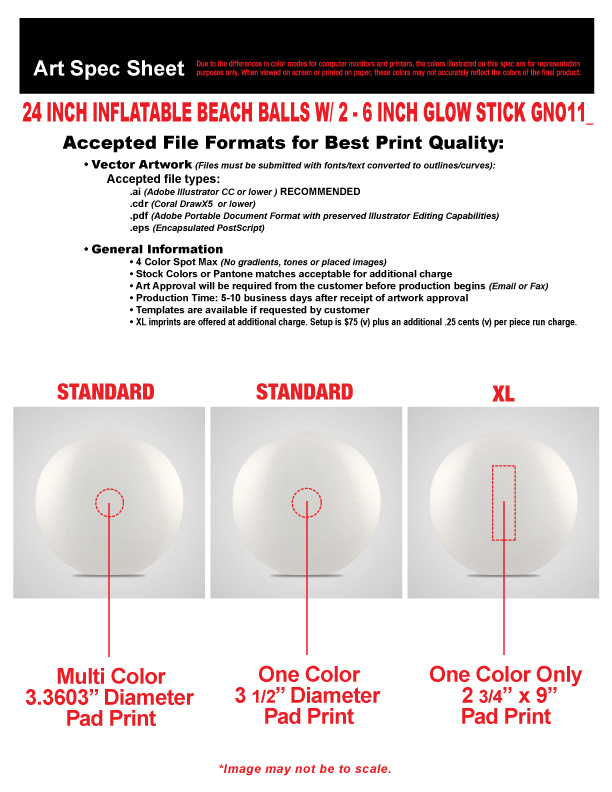 Quick Info: 24 Inch Inflatable Beach Ball with 2 - 6 Inch Glow Sticks in your choice of color! This unique Beach Ball lights up in the dark with the use of a 2 High Quality 6" Glow Sticks that you would insert into the center of the Beach Ball. Easy to use, Fun to play with and the Very Bright Glow Stick makes this a great night time or dark venue advertising platform. 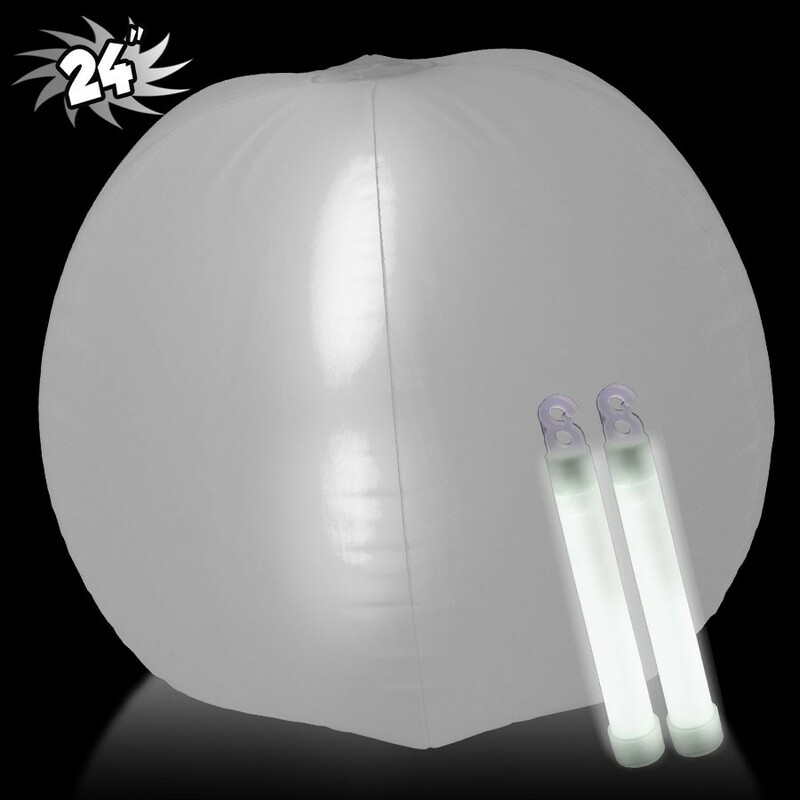 Please Note: The 24" beach ball is a milky/frosted color until the glow stick is inserted. 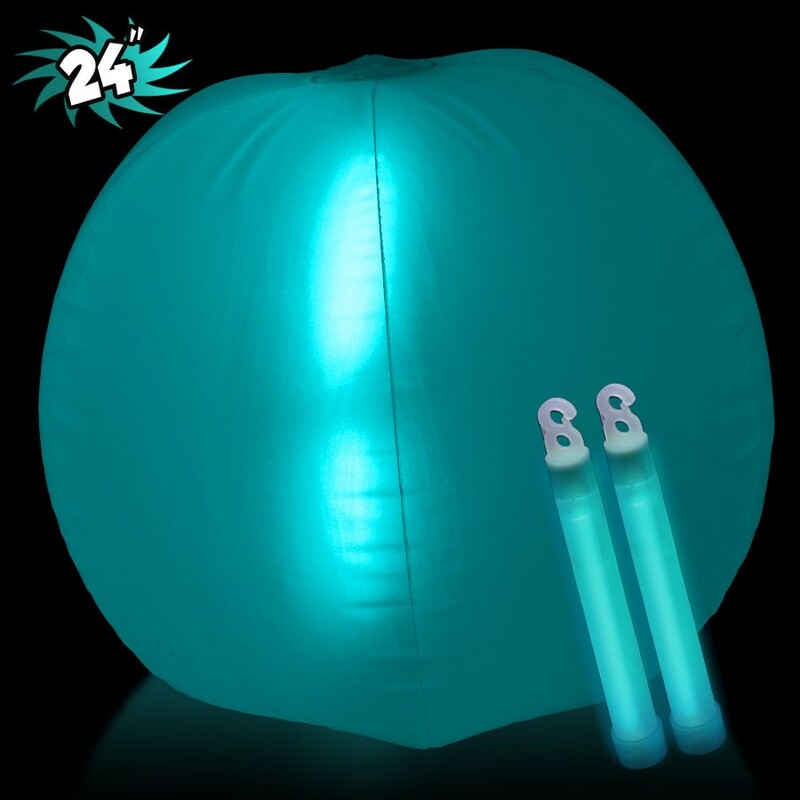 Color of the glow stick is reflected in the beach ball.